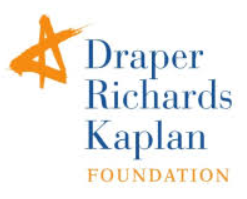 The Draper Richards Kaplan Foundation (DRK Foundation) supports innovative social enterprises in the USA and around the world with capital and capacity building. DRK focuses its selection of enterprises in relation to the capabilities of the founder; the scalability of the model; and the potential impact of the organization on the world. Investing in Social Enterprises. DRK’s social investments cut across thematic areas in food and agriculture, energy and environment, and others. DRK works with social enterprises in the early stages of their development; that are national or global in their scope; that address the root causes of social issues; and that feature an enterprise model that can potentially grow to large scale. Each supported project receives US$300 thousand of unrestricted funding over three years, in addition to an institutional partnership with DRK. APPLICATION: DRK explains its funding priorities and selection process, and it posts an online application form. An applicant describes the organization’s mission and objectives; the social issue addressed; and the proposed solution. The applicant explains why the proposed solution improves on other approaches, and how project impact will be measured and scaled over time. The Foundation accepts applications on a continuous basis. The Foundation posts a searchable database of its past projects, including a filter by issue (e.g., energy and environment; food and agriculture; others). As of December 2017, DRK’s social impact included support for 125 entrepreneurs. DRK publishes news and an annual report. DRK provides a contact form.